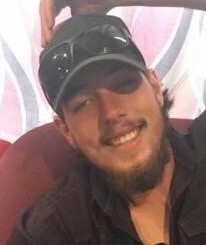 Brandon David Hatley, 22, of Conway, died in the early morning hours on Saturday, April 13, 2019 in a tragic accident. Brandon is survived by his father, Tim (Lori); mother, Ramona (Joey); brother, Blake Martin (Kyla), grandmother Brenda (Nana) Hatley; love of his life, Lex (Grace) and a host of aunts, uncles and cousins who all adored him. He was preceded in death by his grandfather, Ronald Hatley (Pappy); grandparents, George and Betty Sue Brink; uncle, David Woods; aunt, Shelia Woods; great-grandparents, Wayne and Betty Woods. Brandon was very fond of his large family and spent time with them at every opportunity. Brandon was employed at AFPG and was proudly a tentative member of the Pipefitters Union. Brandon was an avid motorcyclist and had most recently purchased a Harley Davidson, which was among his most prized possessions, he enjoyed riding most with his big brother Blake. He was a devout hunter and fisherman, which he enjoyed most in the company of his hero, his dad, Tim. Brandon never met a stranger and leaves to cherish his memory a long list of acquaintances, close friends and chosen brothers and sisters. He lived every day to the fullest and never sat still. Brandon left this world unexpectedly far too soon, but not without leaving a mark on the hearts of many. He was a good kid, and an even better man. His mom and dad are heartbroken that he has left their lives, but in the traditional manner, and in the way Brandon would expect, they will never let his memory die. A visitation will be from 10:00 to 11:00 a.m., Wednesday, April 17, 2019, followed by a funeral service at 11:00 a.m., at Smith – North Little Rock Funeral Home. Burial will be in Salem Cemetery in East End, Arkansas.